Ministry of Tourism, Government of India, is responsible for the formulation of national policies to promote tourism in India. It also liable for co-ordination of activities of different Central Government Agencies, State Governments and the Private Sector for the development of tourism in the country. Union Minister for Tourism heads the Ministry. Max Holidays India Pvt Ltd. is duly recognised by Govt of India, Department of Tourism as responsible tour operators in the country. Only a well reputed tour and Travel Company and other bodies or units of hospitality industry in the country can get the approval from the Ministry of Tourism after having achieved certain levels and finishing the required norms of the criteria set by the Govt of India, Ministry of Tourism. Max Holidays India gets the honor of being certified by ISO (International Organization Standardization) for maintaining International level of quality in its work and services provided to the customers. The quality management certificate granted to Max Holidays by the ISO body assures our customers that the Company aims to enhance customer satisfaction through effective application of the system, including processes for continual improvement of the system and the assurance of conformity to customer and applicable regulatory requirements. ISO is the world's largest developer and publisher of International Standards. It has a network of the national standards institutes of 163 countries, one member per country, with a Central Secretariat in Geneva, Switzerland, that coordinates the system. ISO is a non-governmental organization that forms a bridge between the public and private sectors. ASTA, the American Society of Travel Agents is the largest organization of travel professionals across the globe. ASTA has over 20,000 members, the majority being shared by the travel agencies. 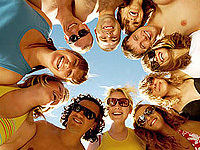 However, travel suppliers, tour operators and travel schools can also seek membership at ASTA. For over 75 years now, ASTA had been dedicated towards the travel agents and traveling public. Max Holidays India is a member of the association. Australian Federation of Travel Agents (AFTA) is the biggest body representing Travel Agents in Australia and Max Holiday India proudly announces being a member of this association. It operates with high standards of integrity that are the hallmark of the AFTA travel agent. It represents the majority of travel agents in Australia and other parts of the world, with over 2500 retail outlets and over 100 allied industry organizations, hotels, tour operators, wholesalers, etc. resulting in over 2600 members. With a long history dating back to 1957, AFTA has been providing representation and industry leadership for a very long time. It has a proud history and continues to bring together all of the views of travel agency businesses in Australia and around the world. 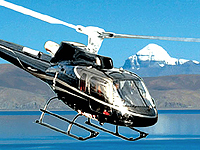 Established in 1986, the Travel Agents Federation of India (TAFI) is a dynamic organization. TAFI aims to regulate the travel industry in India according to stable business ethics. Initially a team of 8 influential travel agents, the membership has risen to 800 today including Active, Associate and Allied members from across India and Max Holidays India is one of them. Formed during 1951 The Travel Agents Association of India (TAAI) has been recognized as the voice of travel and tourism industry in India. It was established with a vision to safeguard the interest of those who are engaged in travel industry, to promote its growth and protect the interest of the traveling masses. Max Holidays India is a proud member of Travel Agents Association of India. The Indian Association of Tour Operators (IATO), the national body of tourism industry in India was formed in the year 1982. IATO is now recognized globally. It maintains a constant interaction with its international member bodies including ASITA, NATO and USTOA. Max Holidays India is a member of the association. Organizations that have leastwise two years of experience in managing international tourists in India are admitted as members of IATO fraternity. Such bodies are recognized and authorized by the Department of Tourism of the Indian Government. The Adventure Tour Operators Association of India works towards promoting adventure tourism in India. It was established with the main objective to create global awareness about the potential adventure tourism in the country. Max Holidays India is proud member of the Adventure Tour Operator Association. Association of Domestic Tour Operators of India (ADTOI), National Body of Domestic Tour Operators, constituted on 7th August 1996 with the express purpose of consolidating the efforts of all those tour operators who are actively engaged in the promotion of "Domestic Tourism" in the country. We are nearing 400 members all over India on the rolls and likely to enroll more members to our fold in the near future. Max Holidays is a proud member of the association and plays active role in promoting the domestic tourism of the country.